Posters / Blog / Contest / Contest: Our “Share Your Happiness” Contest Winner Announcement! Contest: Our “Share Your Happiness” Contest Winner Announcement! We’re happy to announce the winner for our #Happyposters contest! Instagram has been even brighter recently thanks to you sharing happiness and satisfaction with our products! By posting photos with our products and adding the hashtag #happyposters, you also joined our contest where you could have won a 12,99€ gift voucher! So, which post was the winning #happy photo that won the prize? It wasn’t easy to pick the contest winner. Our team looked at every post, and we thank you all for the lovely photos! Unfortunately, we only could pick one winner. So here is the winner! The winner is Miss @Daniellkag ! She posted this photo with three of our products (check them out on the bottom right). Her post really warmed our heart in this cold winter weather! 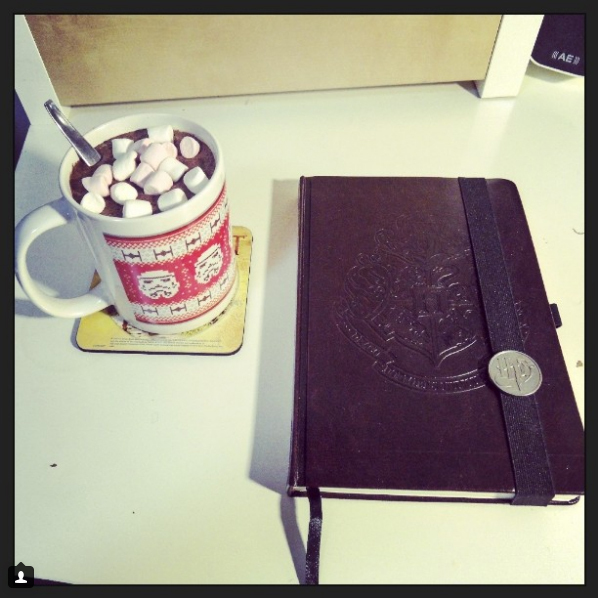 A stylish mug with some hot chocolate and marshmallows is a must! Congratulations to our contest winner! We can’t wait to reveal our next contest coming super soon! Keep spreading your joy with #happyposters!